There are books and web resources on using your plane to fly somewhere to get something to eat (the “$100 hamburger”), to golf, or to relax and see the sights. I’ve found very few resources over the years on using your plane for more adventurous activities. I think I know why too. When you consider the general population, there are not that many active pilots and there are not that many active adventurers. A book that targets the overlap of those two populations wouldn’t sell that many copies. No matter, this is the Internet and I know (I hope) there are pilots out there that will find this and hopefully can use the information to put together some trips. One of the challenges in flying is the ground transportation, so I will usually mention how I get around once I’ve landed so someone else doesn’t have to do the research. My day job is mergers and acquisitions – basically I help people sell their businesses. I cover the western US and I also run a website that educates business owners on how to sell a business: www.journeypartners.com, and that means I’m fortunate in that the work I do takes me all over the west coast in my plane to visit my clients – a wide variety of businesses. Some of these posts are business trips where the light was particularly nice for photos, or where I stopped on the way. Other posts are planned adventures with friends and family. I have received great feedback on the trips, but what I’d really love is for someone to get inspired and take one of the trips in this blog. Then please tell me about it. To contact me please leave a comment! Great webpage! I’m a CFII up here in Oregon, and was especially interested in the section on flying to hot springs. I don’t see Sierraville listed. Not remote enough? You can’t beat the location – pretty valley, old lodge with wi-fi, and the hot springs are less than a 1/2 mile from the paved 3200ft airstrip. I am planning on flying to the Alvord dry lake bed – never a x-wind! I’ll be interested to know if you go there or the hot creek NW of Denio. Thanks, Curtis, for the feedback. Yes, there is Sierraville and there is also one in Northeast CA that you can fly to, but they are commercial hot springs (I think) and I thought I should draw the line somewhere. I’ve flown to Sierraville, but have not visited the hot springs. I do want to visit Alvord and got close one time but I wasn’t sure the surface was dry enough. Its on the list the next time I’m near there and its dry. I love your site. I fly a ’67 U206B and am always looking for places to fly myself or my family. We have flown around the country and even camped at Oshkosh. We are presently in Taiwan and hopefully they will loosen up their rules enough for me to fly here as well. Thanks for the email update, I am back in the USA and now flying a 175, hopefully to some of your locations. I’m on the final leg of getting my pilots’ license. I have one more long solo x country, then some night flying then the check ride. My whole reason for getting into flying was to use it to get to good fishing and hunting spots. I’m learning in my dad’s 170b…that’s right, a tail dragger. Haven’t ground looped it yet! I’ll bookmark your site for further use. Good luck! Go to http://www.backcountrypilots.org. There are a lot of guys with traildraggers that can point out some nice hunting and fishing spots. We met at a CPA flyin a while back. I had no idea about your website. This is the place I have been looking for! Flying Destinations is good but I like remote dirt strips better! Beautiful site. You made me dreams of things I could do with the family. There’s 5 of us. We’re based at RHV, but rent at Aerodynamic Aviation. You made me realize we could do lots of interesting stuff with a T210. Please, keep posting! I love your site as well.. I am an Airbus driver for Swiss International Air Lines and from time to time, I take a Skyhawk or Skylane to the air with a bunch of crewmates when we layover in the LAX or MIA area. The US are such a fantastic country to do VFR flying (although Switzerland has its cool landscape feats for VFR flyers as well 🙂 …check out my website under “Medien > Videos”). I was looking for hot springs near an airfield in CA, and stumbled across your beautiful site. Amazing! Thanks for all the adventures and information you share with us! Would you mind sending me some information on your great “stepper motor underwing GoPro magic thingy”? Your three minute video zipping across the western US looks so great – I gotta try this as well some day with my GoPro! Nice site! I have a question. I am the owner of a Cessna 172M, and began making videos of flights last summer and fall using a new Garmin VIRB camera. We wanted to mount the remote controlled camera on the wing or other outside surface, but were advised that only experimental aircraft (home builts, essentially) were allowed to have mounts installed outside the cabin. So, we mounted the VIRB inside and while the video looks nice in certain light conditions, there is often glare that can’t be controlled. Can you recommend a source for mounts that I could install on my plane? Your 210 is certainly not “experimental” and I would like to find a suitable solution, since my camera can be turned on and off remotely using a built in WiFi signal. any suggestions? Based on this and the included FAA letter it seems OK for a temporary attachment under the wing. In other words, suction cup or tape. You can use Gaffer’s tape which is less permanent than duct tape and I’ve done this many times. I use the top of the GoPro box which is flat and has a GoPro mount on it – easy to tape down. Maybe the GoPro doesn’t come packaged like that any longer, I don’t know. I took a hiatus from flying after my kids were born, and now that the oldest became a teenager, I have started up again and I’m looking around for things to do. I am loving the idea of flying to Zion from your blog entry. In light of your comment above about mentioning ground transportation, that post seems to lack a bit. Can you go into how to get around once you get there? Did you rent a car? St. George just opened (well, a few years ago) a new airport and they have a nice FBO there that will rent you a car for the hour drive to Zion. There are a couple of very small (e.g. Hurricane) strips closer, but none with a car. How about this? I flew my Dakota into Hurricane, UT, which is quite a bit closer to Zion than SGU. I used a trick there I have used before in small towns that have no rental cars. See if they have a U-Haul dealer as Hurricane does. Many towns too small for Hertz are not too small for U-Haul. I rented a smallish Chevy Van Conversion in Hurricane for very little money. It was brand spanking new, very comfy for up to 3 persons, and carried my bikes and tons of gear in the back like a champ–and was hidden from the bad guys! One of my all time favorite trips. Biking Zion is the best way to see it! Keep up the great work (play), Ney and Betsy! You are living our dreams! That is a great idea Derek! We almost did that when trying to figure out how to get to Notch Peak in Utah. I need to remember that though! I recently purchased your book, and that led me to your blog. I have enjoyed reading both and find your writing inspiring. I own and fly a C-182 and have just started writing up some of my own adventures. You mentioned on one post that you were willing to share your design for the “stepper motor thingie” you use on your plane. I also wondered if you could provide the link missing in the post above regarding the FAA’s views on temporary camera mounts. Thank you for your help and your inspiration. Great website. 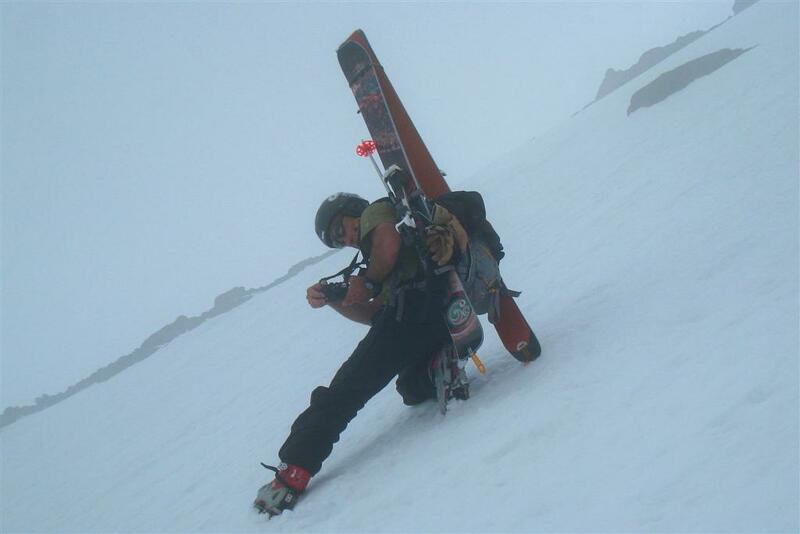 I live in New Zealand and am passionate about backcountry aviation, climbing and skiing. I love visiting the States and am keen to explore the areas you have highlighted. I look forward to more stories and photos. Kind regards David. In the picture of you with 2 Jackson kayaks (and lots of other gear) what model and length are the Kayaks? They are Jackson Zen. One is a small and the other medium. I forget how long they are. I’ve heard they have changed the Zen design a little so I don’t know if they changed lengths. These are about 5 years old. Great all-around kayaks. I have a T210N but an 81 version. I love the airplane, and do a pretty good amount of adventure travel as well. My Kayaks, are feathercraft, I have been following your blog for some time, and I love it, thanks for sharing. Question, the stands you made for your road bikes, and the photo with your bikes in them, I have pulled my back seat back out before, but never my entire back seat, because the bench seems to protect the autopilot avionics back there. It looks as though when your road bikes were in, you did not have the bench in. Yeah? Did you make something to protect the avionics, or do you leave the bench in? Sorry for the delay – didn’t see the comment. I think I got lucky as there are no avionics under the bench. I have a Century 2000 AP and everything fits in the tail. 90% of the time the bench seat is out. It is kind of a pain to get in and out so I try to limit passengers to 3 (for example when I do a Flying Samaritan’s trip to Mexico). Great site! I too tie adventure, mostly climbing, into my aviation. I now fly a Cirrus SR22TN so a little more limited in fields than my Cessna Cardinal was. I just did a trip to Mammoth to climb/hike the Nevada highpoint and plan to use the plane to climb a lot more. Again, great site! I am charting a few climbs of state highpoints via plane. I think Borah will be the next one after Hood this month. Very cool! Obviously ground transportation is always a challenge. How did you get from Dunsmuir to the Crags? We’ve had Castle Crags on our list for a while – there is a classic 5.7ish climb there. But so far we haven’t been. Hood is awesome – and if you ski its quick getting down. Not the highest, but Notch Peak in Utah is a fun peak. That sounds like a fun goal, good luck! Nice to have a friend there! Wow, a full schedule. Have fun! I’m looking into a camping/hiking adventure but would like to fly from the Bay Area to Trinity Alps/Gravelly Valley area. Want to do a remote trip and I was wondering if you have any suggestions on where I could find a Pilot/Plane that would do these kind of trips? You really need a friend with a plane that wants to share the costs in that sort of adventure! In fact, the FAA mandates that the pilot and passengers share in the cost, otherwise it is considered a for-hire situation for which many more rules apply. So that means you could find a small charter operation that can take you up there, but most charter operations in the bay area area are jets or Turbopropos and are very expensive. You could try posting a note at San Carlos, Reid Hillview or your nearby airport to see if a local pilot wants to do that adventure with you.